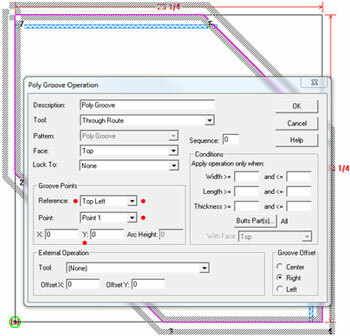 Here is a tip for CNC showing an application of the Template Border feature. 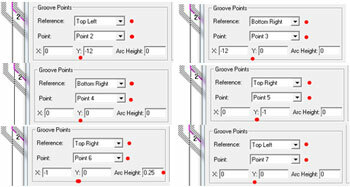 There are many uses for the part template border feature, but this is one that may be common and useful to some people. As you know, on a corner cabinet, we shape the horizontal parts to allow for a corner back support. Some people don’t need the Upper bottom to have as big of an angle cut as the rest of the parts. 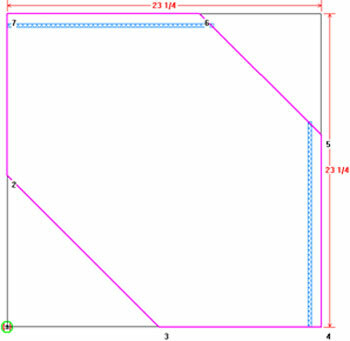 The use of a CNC part Template with a border shape is one way of adjusting that cut. Create a part template for the Corner cabinet Upper bottom. One easy way to get the initial border shape is to simply Copy a CNC part and Paste it into the Template set. If you have the CNC Preferences set to Accept Default Auto Shaped Parts and Add Border Shape, the part will have a border. After pasting you should see something similar to this screen below. Modify the new template part. 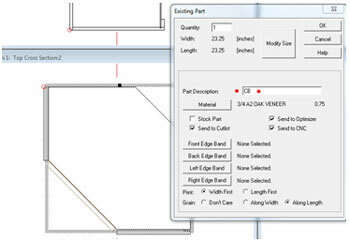 A key item is to use the Cutlist Name so this part template can be easily isolated and used when desired. Modify the Border reference nodes. Do this in a way that the part shape will be able to change as the Cabinet width changes in the room design. I illustrate this below. 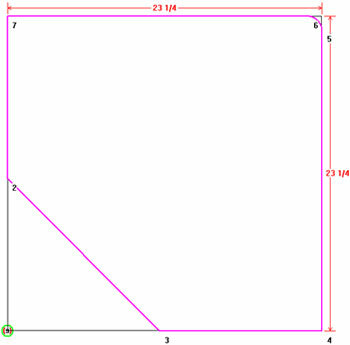 Note how Point 6 has an Arc Height to make a small radius in the back corner. I deleted the back grooves from the template because they will be applied as externals from the cabinet backs later. 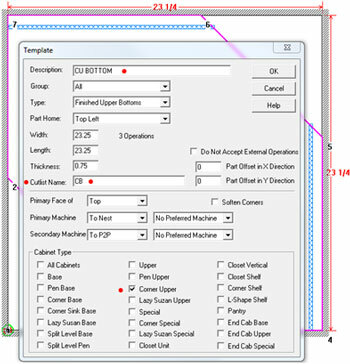 Assign it in Multi Cross Section if you have Ultimate; on the individual cabinet cutting list, or, you can use a Part Override to assign the name. 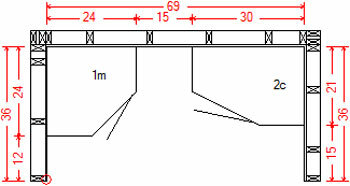 A sample room design with corner uppers with assigned Cutlist Names. Import the job into CNC Center. Make sure the Preference is set to: Template Border has Priority. The cabinet upper bottoms follow the border shape on the part template. 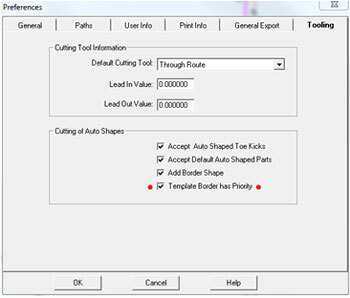 This functionality is available in all Cabnetware Manufacturing versions with CNC Center and S2M Center.